Owning a home means the work is never done, and sometimes it can be hard to prioritize essential updates. Homeowners may want to avoid the financial burden of updating their windows, but this is one update that should not be ignored. Although the cost is intimidating upfront, the saving homeowners can accumulate throughout owning the house can greatly offset it. For some homes, it can be tricky to decipher when windows need to be replaced. Windows can look newer but may not have been installed properly, which can lead to serious problems and costs. There are signs to look out for when deciding if you need replacement windows. Some are more obvious than others, but if you find yourself checking off even one, then it might be time to consider new windows. This is the most obvious answer to the question, but regardless, it needs to be addressed to those homeowners in deep denial about replacing their windows. Older windows, especially traditional wooden ones, are hard to maintain. There are tedious tricks you can apply to make the sash travel up and down easier but in all reality, why bother with all of the waxing and sanding just so these old windows can do this simple job? If you find yourself struggling to open and close your windows or performing constant maintenance, then it’s time to consider replacements. New replacement windows will save you the hassle, time and frustration. When your windows leak, they not only leak air, but also your hard-earned money. Drafty windows can cost a homeowner more money than necessary on their heating and cooling bill by about 10%-25%. This is especially true for homes that have much older windows that haven’t been updated to today’s modern and efficient standards. The government’s Energy Star rating encourages homeowners to replace old, leaky windows with energy efficient ones. The payoff of new energy efficient windows isn’t just with the savings on your bills, but when it comes time to sell your home, these windows will be an attractive point of interest to buyers. One of the most tell-all signs that you’re in dire need of replacing your windows is when condensation occurs. This means that the seals on your windows are failing. Although it should be noted that not all fog on the window panes means seal failure, only when this occurs in between the panes should this be cause for concern. For those particularly bad windows, condensation can make its way on the inside of your home. There is nothing worse than realizing that your leaky windows are dripping condensation, staining that fresh paint job you worked so hard on. 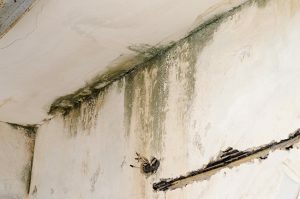 Watch out for stains and discoloration on the wall, carpet, or hardwood floor. 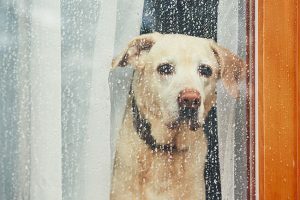 Some homeowners may not know they need to replace their windows until they walk past them and feel a suspicious draft. This is easier to tell in the winter months when you’re attempting to heat your home and feel a freezing cold draft through the panes. If this is the case, then your current windows are no longer efficient and that heat, along with the money behind your heating bill, is essentially leaking out of those old windows. In some cases, older windows will cease being soundproof. You shouldn’t be hearing the roaring noise of traffic or a passing car from down the street, but if you do, this is yet another indication that the current window is in dire need of an update. If your windows meet all of these warning signs, then you might already be wondering if there’s a right time of year to start your replacement project. While there’s no wrong time to replace windows, there are certainly better seasons to do so. Channel your inner Goldilocks when it comes time to replace your windows and choose the weather that isn’t too hot, isn’t too cold but instead just right. 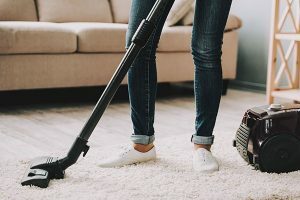 Although homeowners may think that summertime is the ideal season to replace windows because there is no need to worry about outside elements like snow and freezing temperatures, the best weather is ideally early to late spring. One reason to start replacing your windows during this mild time of year is for the caulking used in the installation process. Caulking should be applied at a temperature range of 40° to 80°. Choosing a time where the weather is mild and constant so the caulking’s adherence is not hindered by drastic temperature changes. Many homeowners may not consider or know about movement of substrates, the expansion and contraction of building materials. Depending on which material you choose to replace your windows with such as aluminum or vinyl, too hot or too cold of an outside temperature may cause this expansion or contraction to occur. Springtime or early summer is the idea season to prevent the movement of substrates from occurring. The last thing you want is to spend money on the installation of new windows only to discover that they’re not sealing properly because of the extreme temperatures. Choosing the right season with mild and calm weather will make sure the installation goes smoothly, preventing any future problems with the new windows. Although you can replace your windows during colder weather, it is more beneficial to make sure your new materials do not expand or contract due to drastic temperatures. A proper installation goes a long way, ensuring that the window is sealed correctly to save the cost of heating and cooling your home. New windows can be an easily justifiable purchase. You will save more in the long run on your heating and cooling bills. This is even true if you decide to sell your home before this energy and cost savings is apparent because the curb appeal alone can amass more profit. 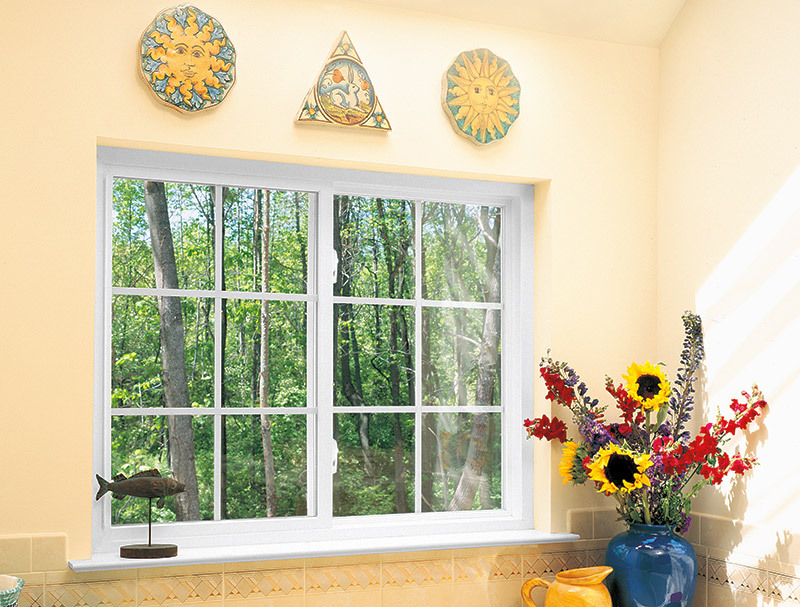 Consider replacing those old drafty windows in the mild weather that springtime offers to ensure longevity for your new windows. When you decide the time has come to replace your windows, look no further than Feldco for the best products and service in Springfield. We’ve satisfied over 350,000 homeowners and would love to help you with your window replacement – get a free quote now.